The religious emphasis in the new series will shift from the Church of England Chaplain Father Guy Scott, to the Methodist Minister Revd. David Easton. 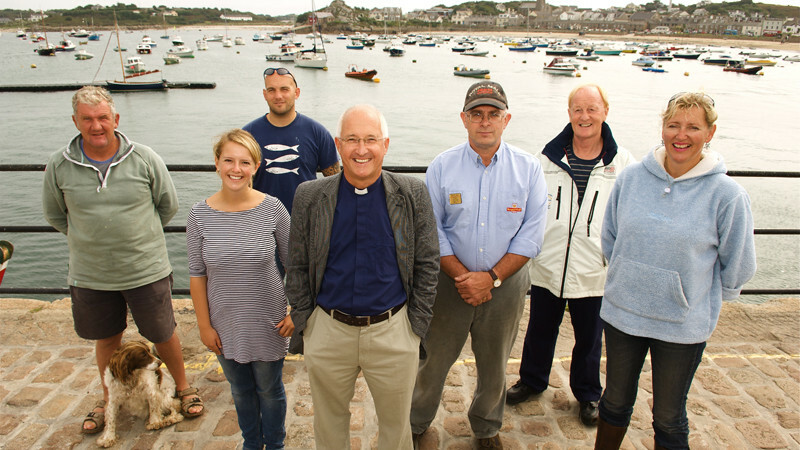 Congregations in the Chapels on the Isles of Scilly have grown recently, and now match – if not exceed – numbers in the Anglican churches. 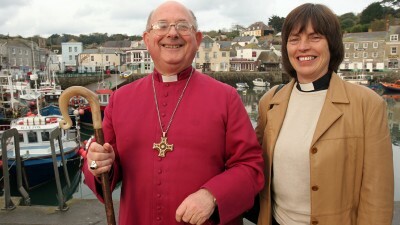 David is a gregarious, amusing and interesting priest and after six years on Scilly, he faces re-election in July – if the islanders aren’t pleased with his work, they’ll throw him out. We will also be following the fortunes of our other main characters, like Heike the vet, who is struggling to survive financially; Fraser the boatman, who is hoping his daughter Rebecca might be able to start a new life on the islands; and trawlerman Martin Bond, desperate to increase sales of his fish. There will also be new characters, like Vickie Heaney, who wants to fulfil the ambition of a lifetime by opening a workshop on St Mary’s; and Sophie, the larger than life tourist officer, who will go to any end to improve the islands’ lifeline – tourism – and is getting married to a lifeboatman in September, probably the biggest wedding of the year on the islands.